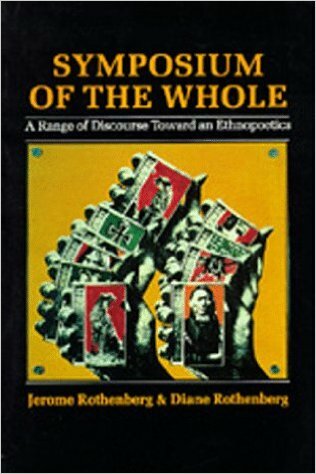 Symposium of the Whole to be reissued! I’ve often said I have a hard time discussing poetry seriously with anyone unacquainted with Jerome Rothenberg’s groundbreaking assemblage Technicians of the Sacred. Though it is still available, for too long the companion volume of poetics, Symposium of the Whole, has been out of print, and now happy word comes that these two volumes will soon be reissued in updated form. Read Rothenberg’s original Pre-face and announcement of reissue here.